How can something so simple be so good? All it takes is fresh spinach, strawberries, grapefruit and almonds topped with balsamic vinaigrette. 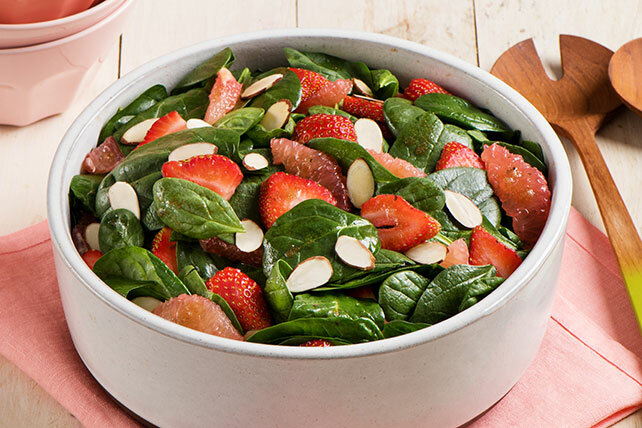 Combine spinach, strawberries, grapefruit and almonds in large bowl. Add dressing; toss lightly to coat. Wash and dry spinach; wrap in paper towels. Store in resealable plastic bag in the refrigerator.